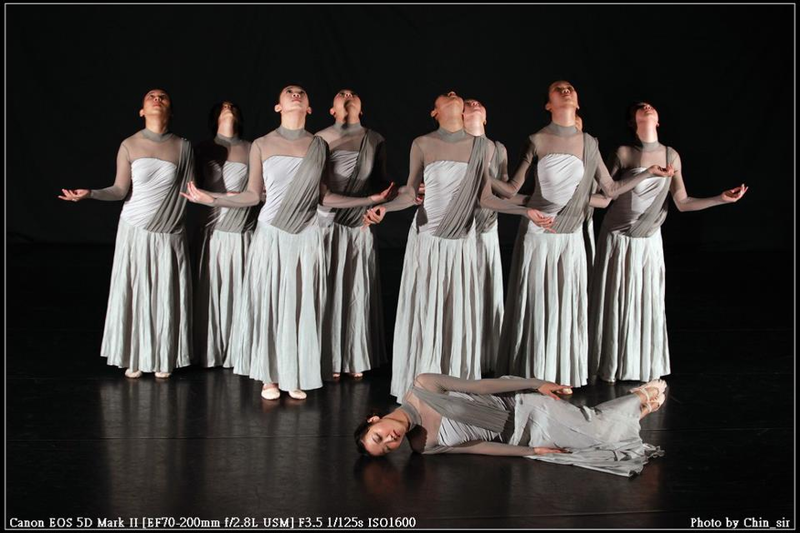 Founded on July 1, 2015, Imprint Macau Dance Association is led by Ms. Zhang Yi, a renowned dancing artist and educator, along with Mr. Ying E’ding, the famous choreographer as the art director. The Association has assembled a group of energetic and innovative young dancers from well-known domestic and overseas art institutes including Beijing Dancing Academy, Taipei National University of the Arts (TNUA) and Hong Kong Academy for Performing Arts (HKAPA). They are capable of performing, choreography and teaching. As a vibrant new force of Macau dancers, Impression of Macau has its roots in Macau and has a global vision. 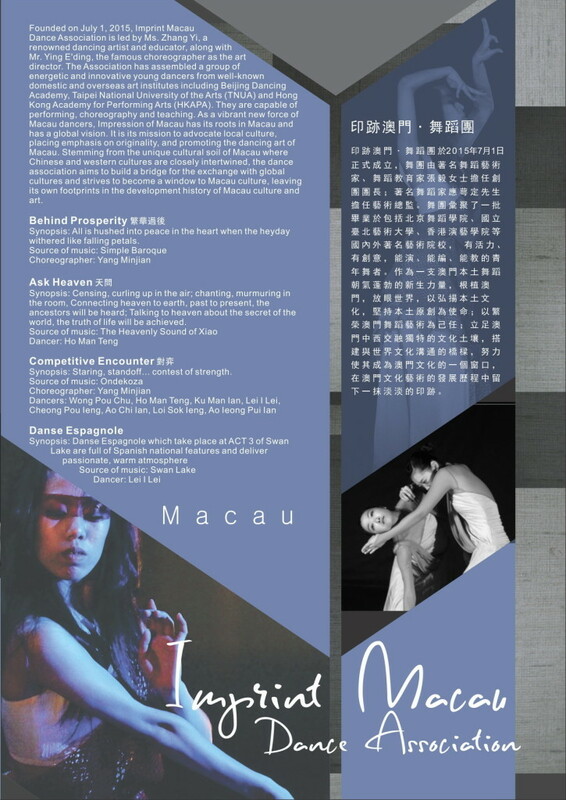 It is its mission to advocate local culture, placing emphasis on originality, and promoting the dancing art of Macau. 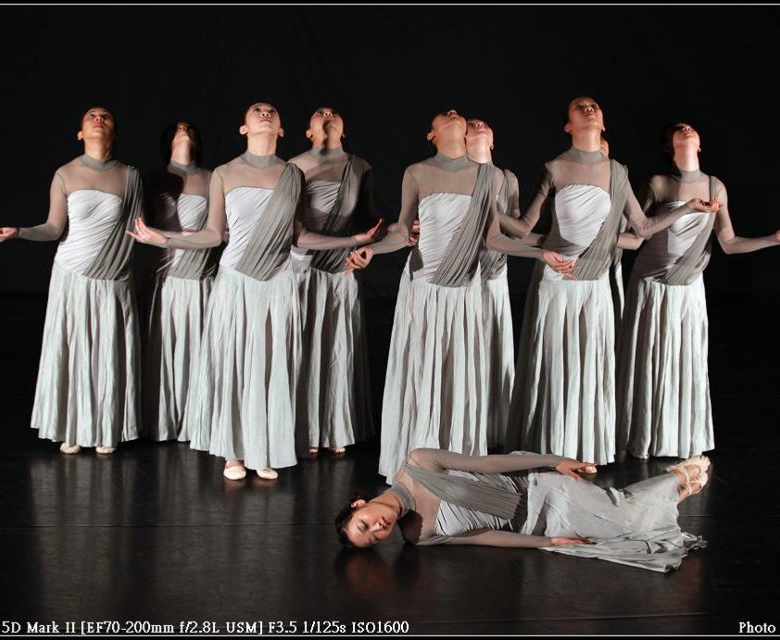 Stemming from the unique cultural soil of Macau where Chinese and western cultures are closely intertwined, the dance association aims to build a bridge for the exchange with global cultures and strives to become a window to Macau culture, leaving its own footprints in the development history of Macau culture and art.